Along with Samsung and its Galaxy X, the other front runner currently in the folding smartphone race is Huawei, with the Chinese maker snapping at the South Korean company's heels. Both companies are set on delivering the world's first folding phone, and now thanks to an awesome new video, we've got the best look yet at how Huawei's foldable phone could look. The jaw-dropping Huawei folding phone concept video comes via mobile industry designer TechConfigurations, who specialises in creating videos of upcoming phone based on all the latest leaked information and rumours. The video shows a Huawei folding phone equipped with a next-gen Kirin 980 CPU, 6GB of RAM, an 8,000mAh battery, 24MP f/1.7 front-facing camera, 12+20MP dual rear camera system with 4K, 60fps video recording, in-display fingerprint reader, and folding screen capable of displaying in both phone, tablet and laptop mode. Now, while obviously the folding Huawei phone depicted here is unofficial, it does give us a great idea of how the Chinese maker's foldable phone could look and be specced. 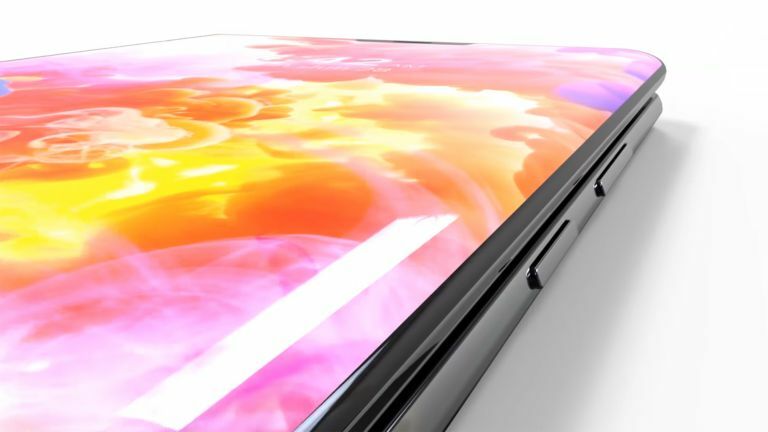 A powerhouse internal hardware spec that allows for an enthusiast-grade phone experience and a light-computing experience as well thanks to a dedicated laptop mode that makes full usage of its folding screen, would allow the Huawei folder to compete not only with the Samsung Galaxy X folding phone, but the likes of the Microsoft Surface Go, too. We're excited to see what Huawei can deliver, and hopefully we will see something official soon, maybe at CES 2019.